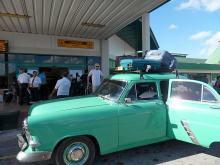 This tour in eastern Cuba is different from all dancing holiday. Whether you are an advanced dancer or with little or no dancing experience, you will experience this trip to Cuba in all its beauty. 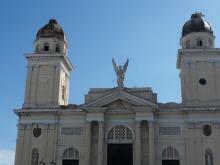 The eastern part of Cuba (Oriente) is a world in itself and is full of history and hospitality. We will not only visit the touristic highlights, but also some very authentic Cuban place that are less touristic. Although dancing is part of this holiday, it is not a 100% dancing holiday with many workshops, but a culture, nature, dance tour. In this tour, you will not sit the whole day in a bus. You will travel short distances between Holguin - Bayamo - Villa Santo Domingo - Villa Santo Domingo - Santiago de Cuba - Guantanamo - Baracoa - Gibara - Holguin. There are a number of Cuban dancers travelling with us. We will stay in both hotels and Casas Particulares (B&B’s). 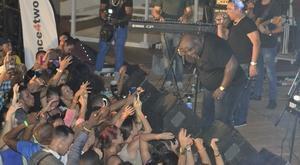 Almost every evening occasion to visit a dance performance, live concert, salsa party, barbecue on the beach, etc.